In case you don't know, I own a cat. A cat my friend rescued stuck in a mud hole in Singapore Polytechnic last October. I named him Noname. He was found with 3 other better looking siblings. They got adopted way faster because he was apparently the average one. I took him in and loved him very much simply because he was the average one. And because currently he's 6-month old -at the right age to be sterilised, I brought him to the vet on Monday. The surgery took place and he was coned since. I....... thought it'd be easy but it wasn't. It's rather unbearable to go through this journey with him. Noname is evidently so sad. Noname is less active. Noname is in pain. 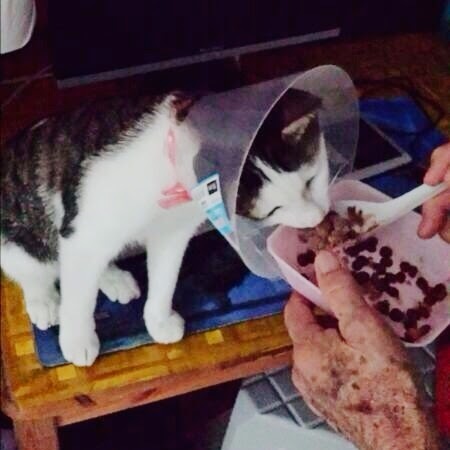 Noname has difficulty eating because the cone gets in the way so he no longer has his usual appetite. 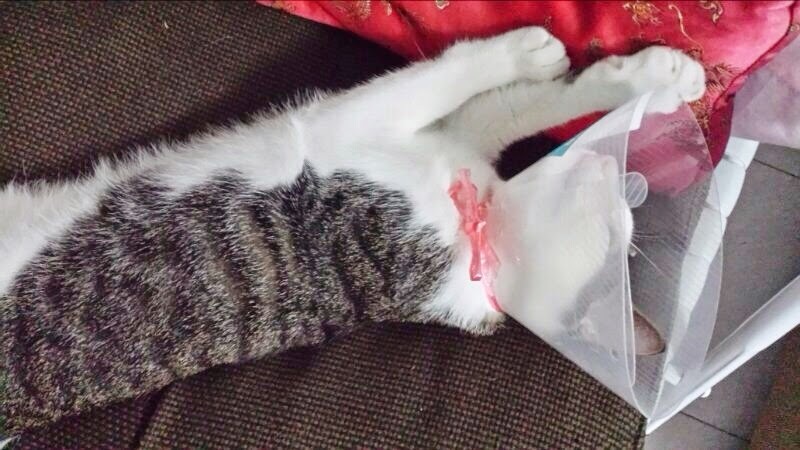 The cone has to stay on for a least a week to prevent any licking. And so, Noname goes on sulking everyday. 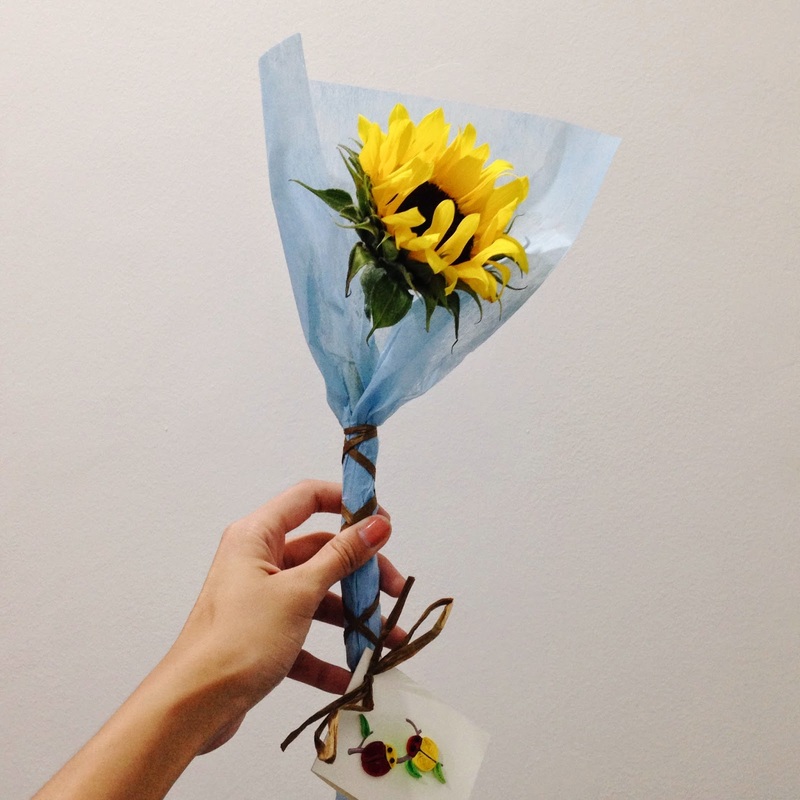 Lovely Gwen knows I'm affected and constantly worrying about Noname's well-being, she bought me a flower to cheer me up today. This sweetpie, I'm thoroughly blessed. Amen. 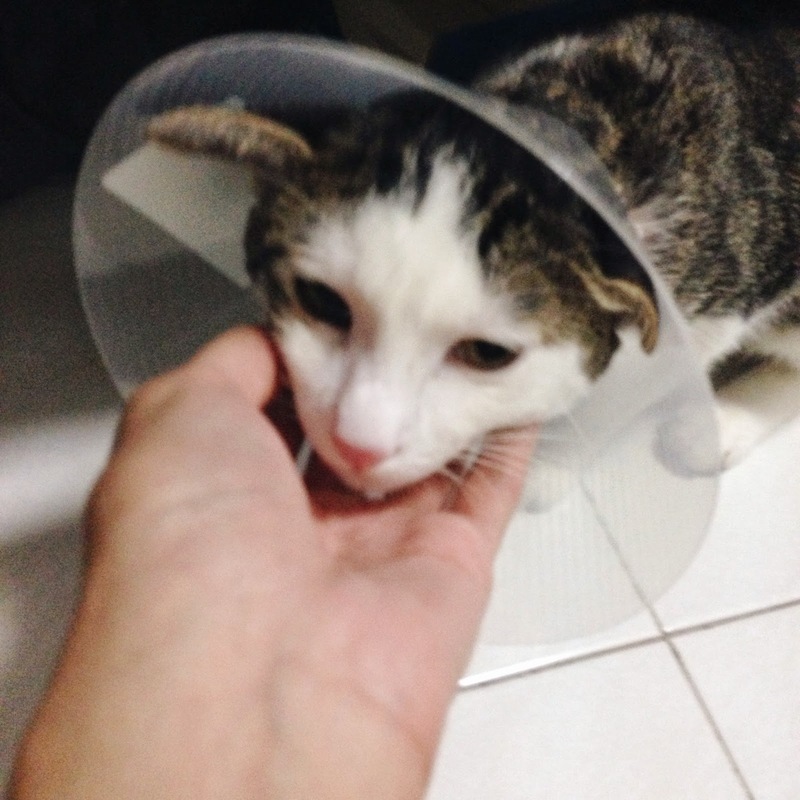 Get well soon, Noname. I love you very dearly.